Nouf’s background is in Computer Science, she is interested in AI, Image Processing and Visual Perception. Her current research is looking at computational creativity, understand how Deep Learning AI systems can understand visual art. 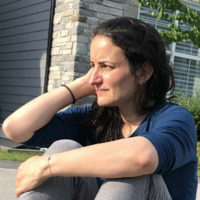 Her work uses modern AI machine learning systems to understand goals and processes, to dynamically adapt the system for best results for art, entertainment and health applications.